Despite being calorie-dense and high in fat, peanut butter may actually help you control your weight. 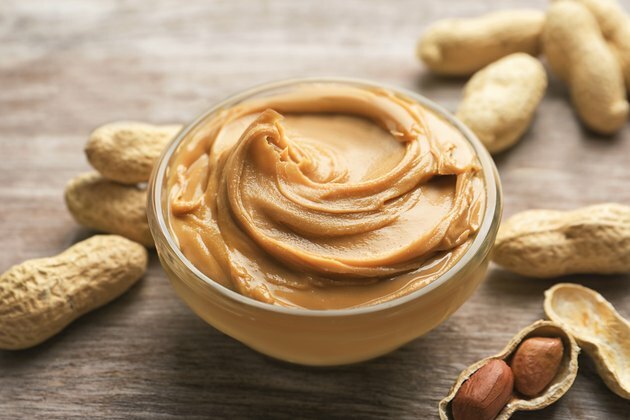 Peanut butter is a source of protein, vitamin E, B vitamins, potassium, magnesium, zinc, manganese and copper — making it a healthy addition to your diet. When eaten in moderation, peanut butter will not make you fat. Peanut butter doesn't make you fat. In fact, the fat and protein in peanut butter may help curb your appetite so you eat less. A 2-tablespoon serving of peanut butter contains 16 grams of fat. Although it would seem that fat would make you fat, certain types are actually beneficial to your health and weight management. Approximately 81 percent of the fat in peanut butter is unsaturated, the type of fat that contributes to heart health. Even when you are watching your weight, the Institute of Medicine recommends between 20 and 35 percent of your daily calories come from fats, mainly unsaturated types, to keep your hormones regulated and allow for vitamin absorption. For a 1,500-calorie diet, for example, you need between 33 and 58 grams of fat daily — a serving of peanut butter certainly fits into this allotment. The fat in peanut butter contributes to its satiating qualities. A study published in the "Journal of Nutrition" in September 2008 notes that the regular inclusion of nuts and peanuts in your diet does not lead to significant weight changes, because they make you feel satisfied and you compensate by eating less during the day. You may actually experience a slight rise in your metabolism as a result of eating nuts, and some of the calories may not be completely absorbed. The "British Journal of Nutrition" published a study in August 2010 that stated that processing peanuts into peanut butter does not alter these effects. Even if a serving or two of peanut butter does not cause weight gain, this does not give you the license to eat an entire jar in one sitting. Even healthy foods can cause you to become fat if you eat too much of them. A 2-tablespoon serving of peanut butter contains almost 200 calories. Downing three servings adds 600 calories to your daily diet. If you make this addition, but do not increase activity or cut back on other calories, you will likely gain weight. Some commercial peanut butters include added sugar, salt and hydrogenated fats. If you are looking to lose weight by eating a clean diet, seek out natural versions of peanut butter that do not contain these additives. While peanut butter alone may be healthy, peanut butter cookies, refined cereals and sandwiches on white bread may all contribute to weight gain. Stick to peanut butter on whole wheat bread, stirred into oatmeal or smoothies or spread on an apple slice or celery stick.